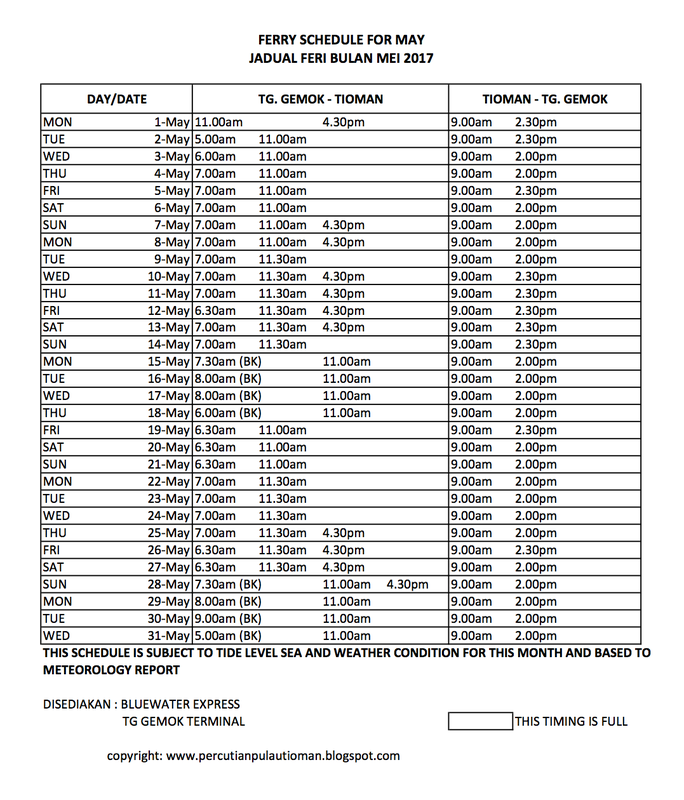 Assalamualaikum w.b.t and greetings hello to all of u guys, the timetable ferry for May 2017 is was announced past two days ago, i was so busy lately. Now I'm happy to take the time to update my baby blog. Thank God that so far no clases of fraud occurred on packages to tourist this year. however we as consumers need to be careful. 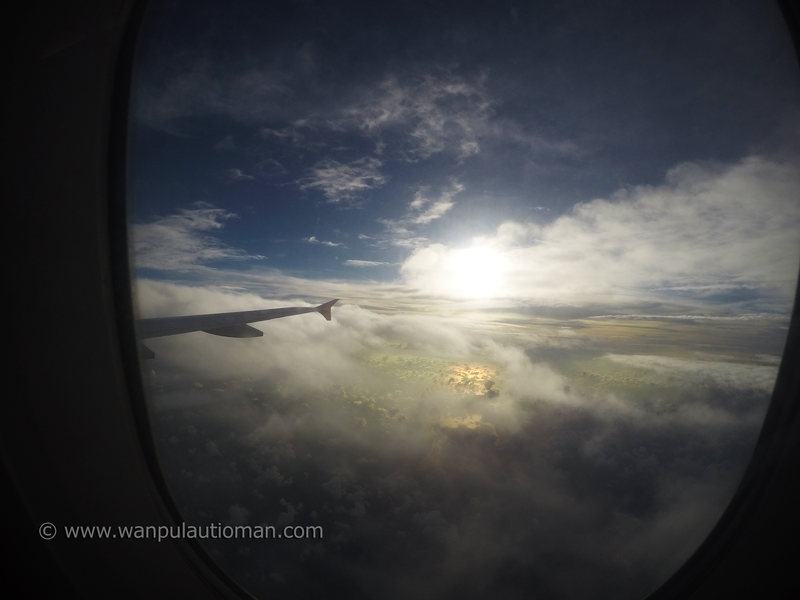 For weather information in Tioman Island is actually, was sunshine and calm waves. Every weekend, start friday to sunday it was faster sold out, if you come walk in it will make you cry at the public area. at last, thank you for your support me. anything to asking about timetable or available ferry ticket you can call or whatsapp me anytime, don't worry i will solve it. 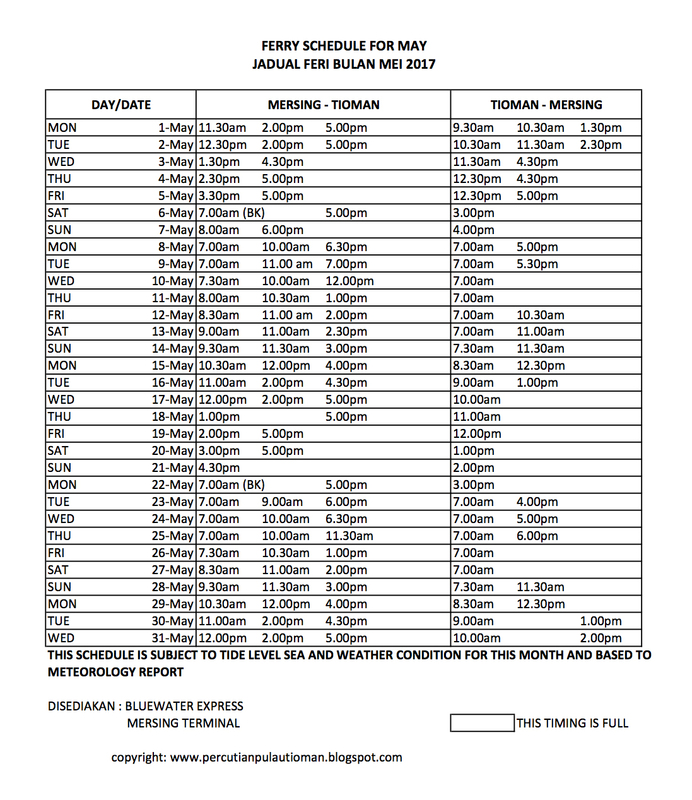 bila jadual bulan Jun'17 keluar?